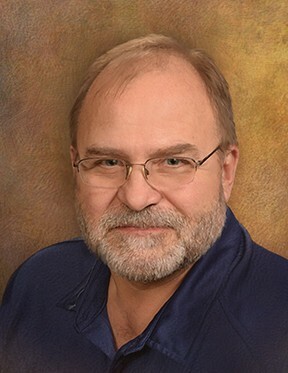 Obituary for David S. Kapp | Hile-Best Funeral Home, Inc.
David S. Kapp, 56, of Seneca, went Home to the Lord early Thursday morning, November 22, 2018. He died unexpectedly of natural causes shortly after his arrival to UPMC Northwest in Seneca. He was born October 20, 1962 in Norristown, Montgomery County, to Barbara A. (Clark) Kapp of Seneca and the late Edward L. Kapp. Dave was a 1980 graduate of North Clarion High School, and then attended Clarion University. He attended the Atlantic Avenue United Brethren Church in Franklin, where he enjoyed assisting with the youth group. Dave loved playing the trumpet and played with the Mostly Brass band for many years. He also enjoyed hunting, target shooting, and spending time with his family. Mr. Kapp was employed as a delivery driver with UPS for thirty-five years. He was currently working as an office administrator for Sunset Hill Memorial Gardens in Cranberry. He was married in Venus on August 7, 1982 to the former Tangy L. (Dunkle), and she survives. Also surviving is his mother, Barbara Kapp of Seneca; five children: Christopher Kapp and his wife Abigail of Seneca, Adam Kapp and his fiancee Emily Bogden of Honolulu, Hawaii, Brandon Kapp and his wife Rachel of Oil City, Noah Kapp, U.S. Army, currently stationed in San Antonio, Texas, and Hannah Kapp of Seneca; and four grandchildren: Ethan and Katelyn Kapp of Seneca, and Lydia and William Kapp of Oil City. Dave is also survived by three brothers, Stan Kapp and his wife Mary of Florida, Dan Kapp and his wife Joy of Bradford, and Tim Kapp and his wife Jeanie of Seneca; a sister, Beth Kapp of Oil City; and numerous nieces and nephews. He was preceded in death by his father, Edward L. Kapp. Friends and family will be received Wednesday (Nov. 28th) from 2 - 4 p.m. in the Atlantic Avenue United Brethren Church, 160 Atlantic Avenue in Franklin, where a memorial service to celebrate Dave's life will follow at 4 p.m. Wednesday with Pastor Brad Riddle, officiating. Private interment will be in Sunset Hill Memorial Gardens in Cranberry, at a later date. In lieu of flowers, memorial contributions may made to the Atlantic Ave. United Brethren Church, 160 Atlantic Ave., Franklin, PA 16323. Funeral arrangements were completed by Hile-Best Funeral Home in Seneca, Cranberry Township.